My card is about love. 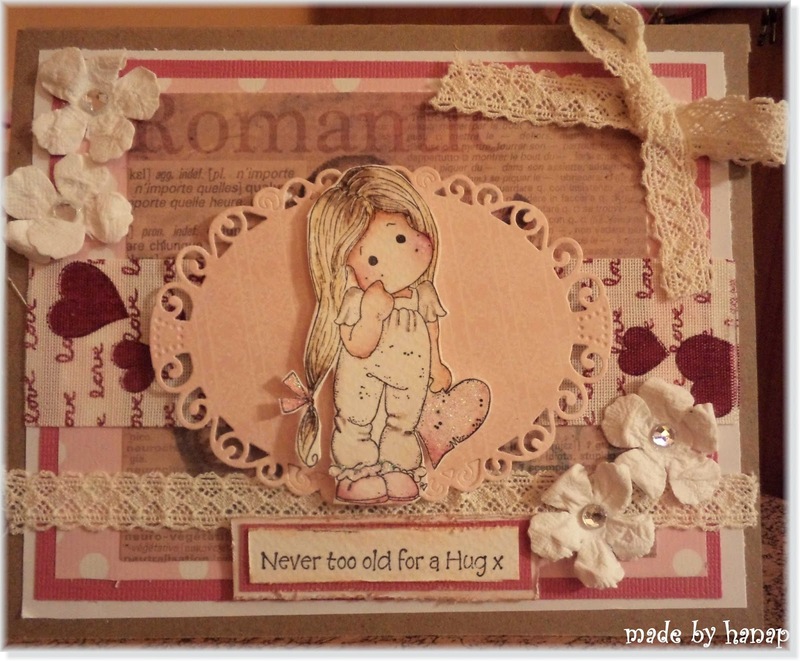 I like these words " Never too old for a Hug x " . I think it is really true. I coloured it with Distress Inks. 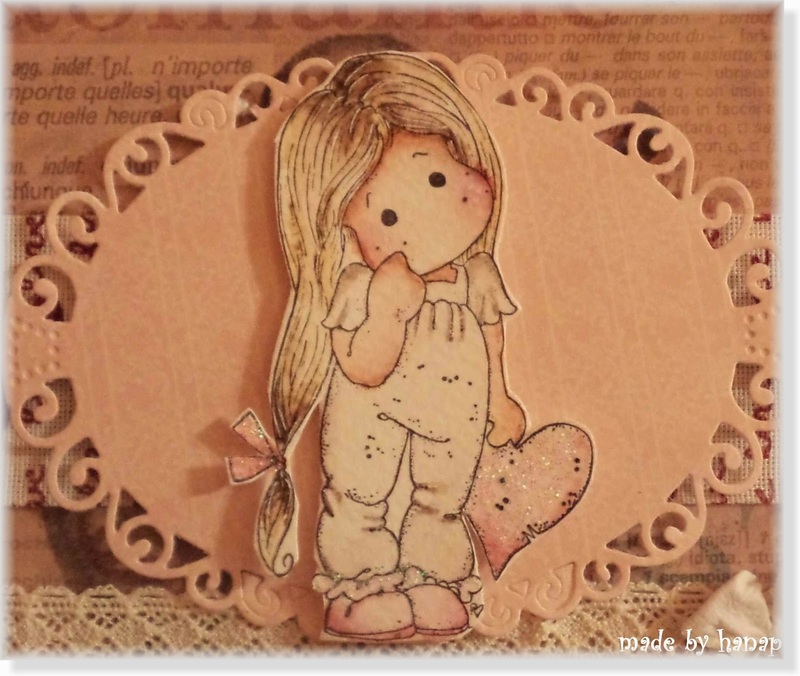 I used Stamperia paper col. The flowers are from Flora Doodles,Petallo. I used the Spellbinders die for this oval. Be happy in these Valentine days. So sweet and lovely, thanks for sharing with us at Magnolia Forever.